david and i feel forever bonded to ruby gal because she was born just a couple weeks before our wedding. so we can always be on track with her age and our anniversary! even though she gets passed from person to person every 60 seconds, ruby stays cool as a cucumber and mellow as can be. she was really confused what to do with her birthday cake and why she had 30+ people staring at her and taking her picture like a celebrity photo shoot. 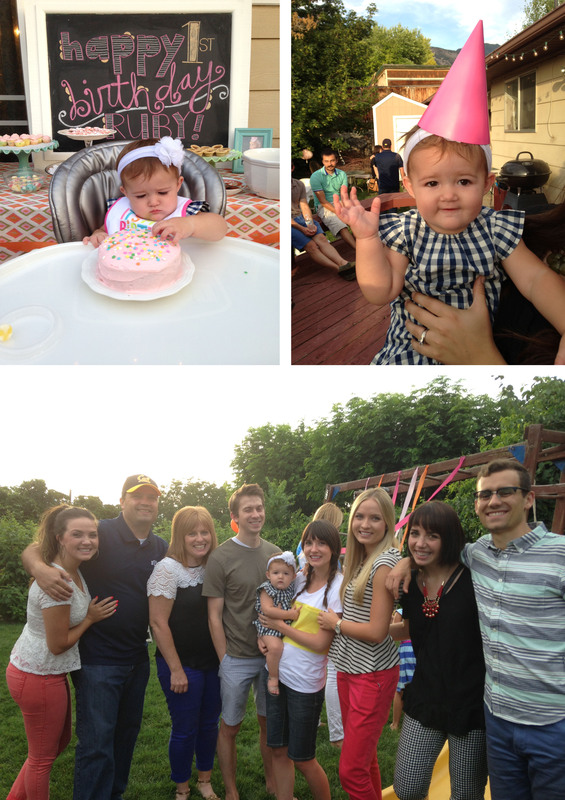 This entry was posted in home, kunz life and tagged family time, pyfers, ruby's birthday. Bookmark the permalink. your mama directed me to this – so so sweet!! ruby has no idea how much she is really loved! you’re awesome. love you guys!